Oh, you don't want to choose this places as vacation spots after reading this, that is for sure. 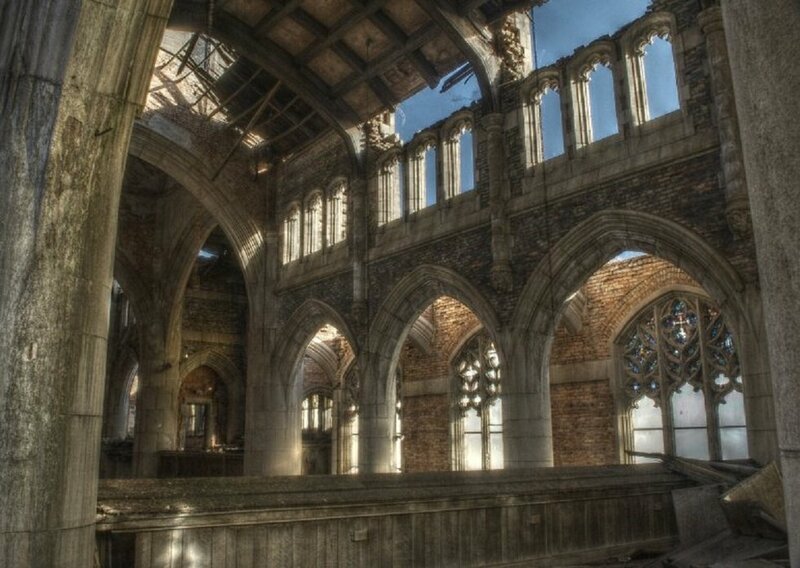 Across the US only there is a huge amount of abandoned places that were left intact mostly and you can easily think there is still something alive there. Well, no. These places are in the middle of important cities and some of them have furniture and clothes after all those years in the abandon. 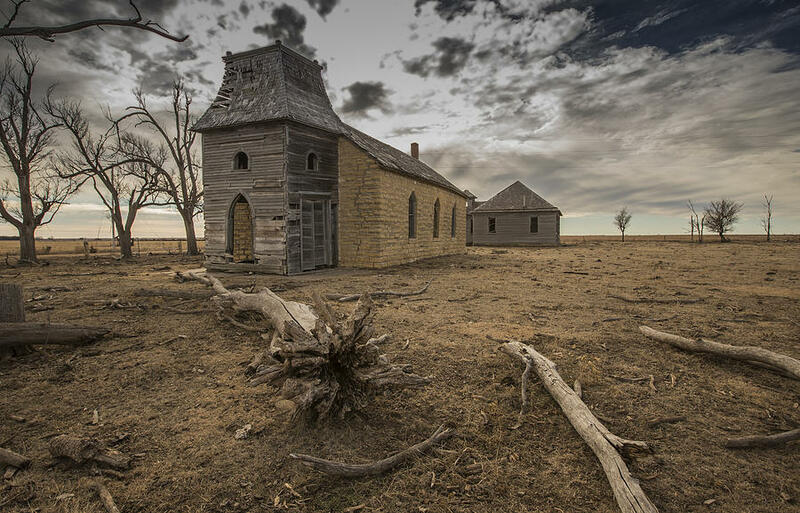 We thought it would be fun and also helpful to identify 50 top places that were once abandoned and now they are ghost towns that you may want to know only through this list. 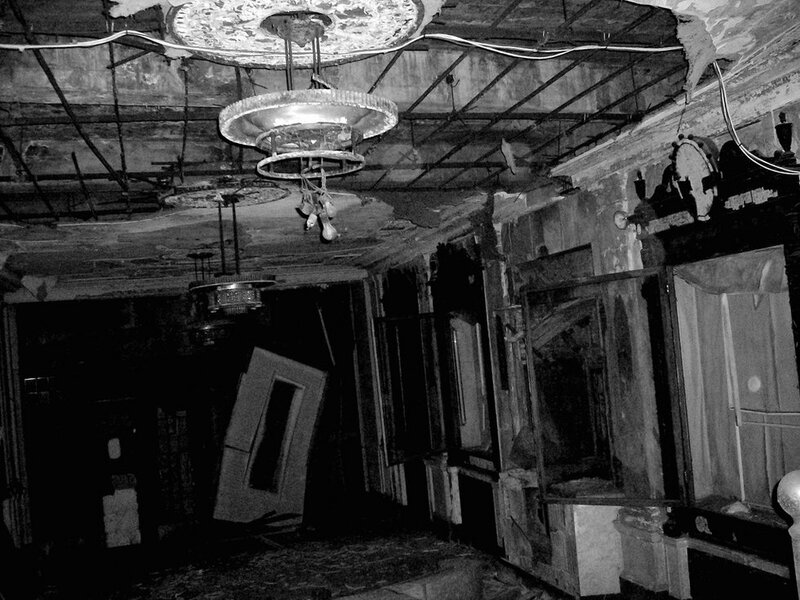 So, get comfortable and try not to get too spooky because there are some really creepy places out there and you need to know exactly where they are in order to avoid them or go if you are really adventurous maybe it would be a good idea. Ok, you can see this place is not in good shape anymore. 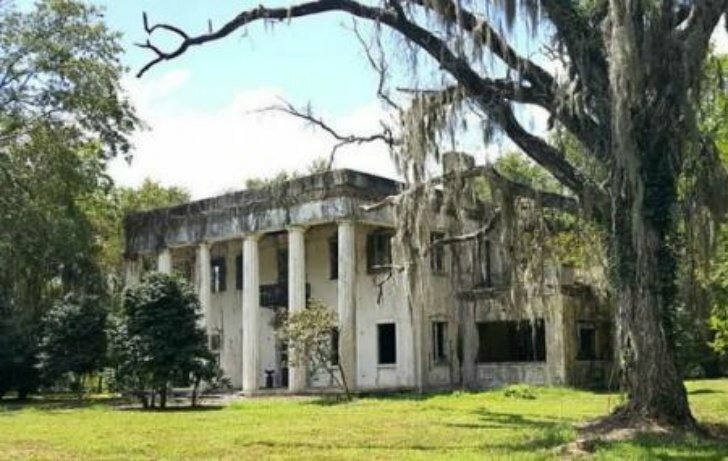 Located in Alabama, this used to be an important plantation house but it was destroyed by fire twice and in 1964 it couldn't be restored. They recently incorporate public access. 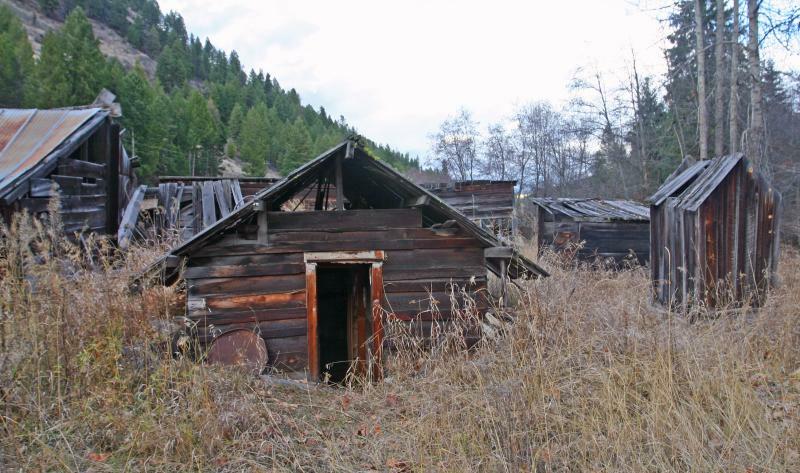 This used to be a mining camp and it was left intact after the mid-1950 when the mine was almost empty and the population left the village. You can still go if you visit Alaska: since 1980 it can be visited as a tourist attraction. Well, you get the idea with this image: this is not your typical castle from a fairy tales or the European monarchy. 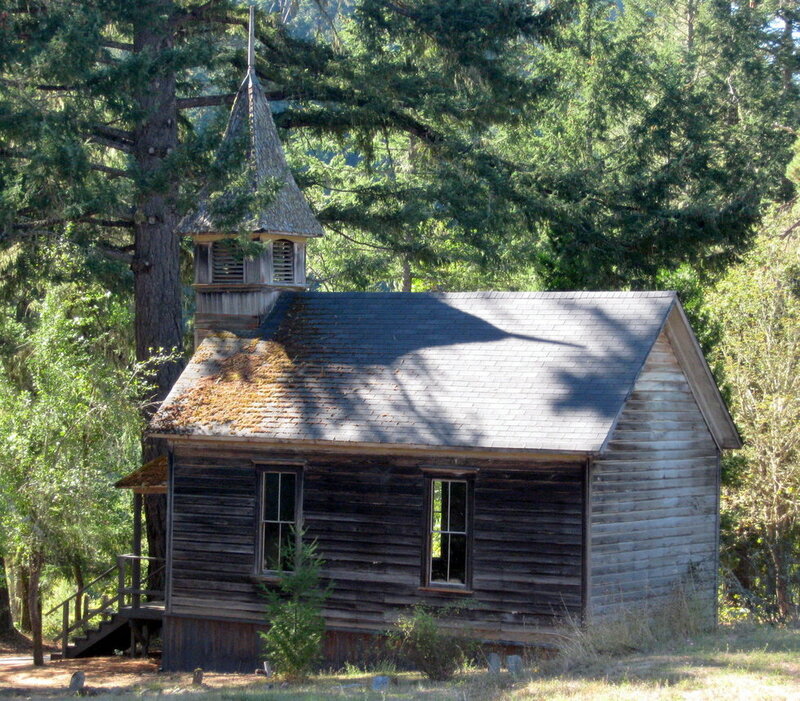 Located in California, Preston Castle used to be one of the oldest reform schools in the US. 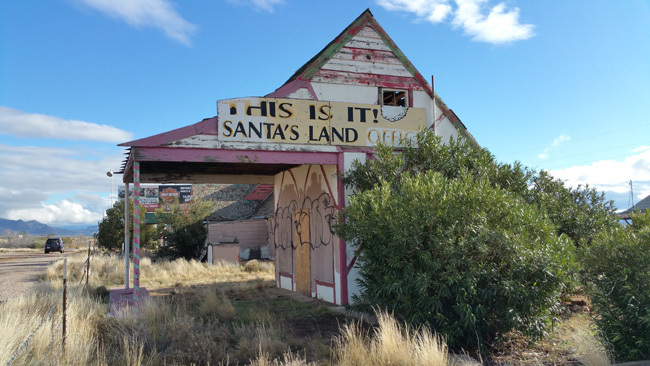 We have here the typical ghost town of Santa Claus, Arizona. Once a Santa location, now the ruins and abandoned. 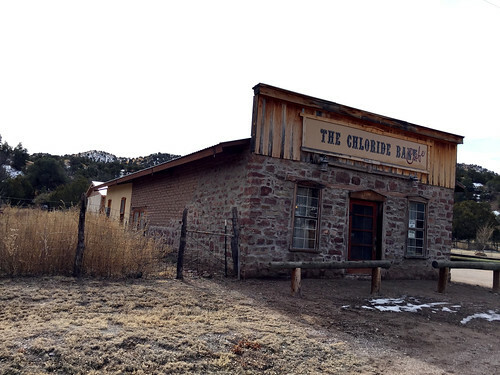 The last business closed in 1995 and now the town's fading to the desert. This used to be a majestic theater, as its name indicates. The Loew's Majestic is located in Connecticut and it was an important theater of the city from 1922 to 1975. It has been however a movie location ever since. 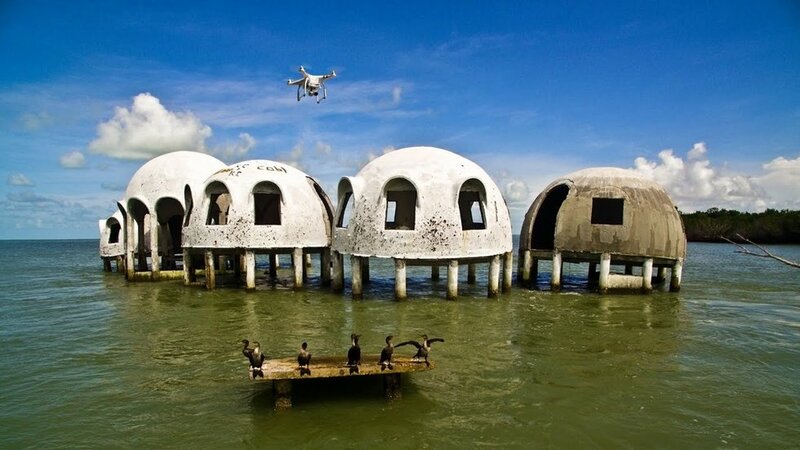 Believe it or not, those are abandoned houses inside Cape Romano, in Florida. It was intended to be someone's vacation place, but now is a ruin hit by Hurricane Irma in 2017 and has developed quite a marine life underneath. 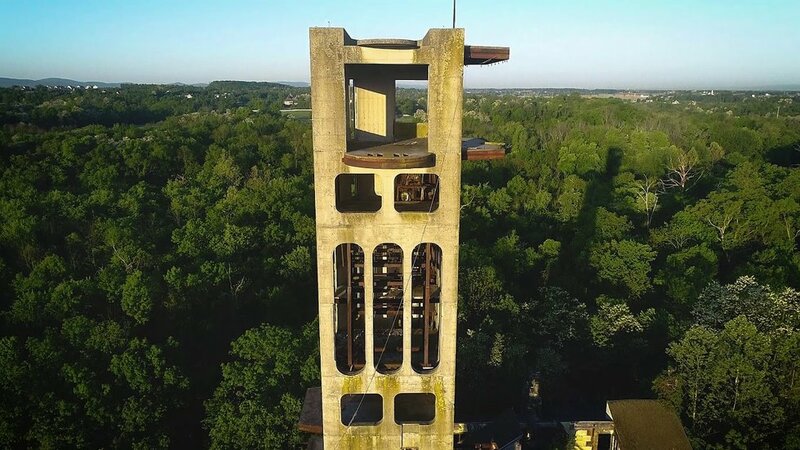 A place in Arkansas with quite a reputation, the hotels, and brothels of the Bald Knob was abandoned in the mid-1970 and most of the buildings have been demolishing but there is still a few lefts to see. 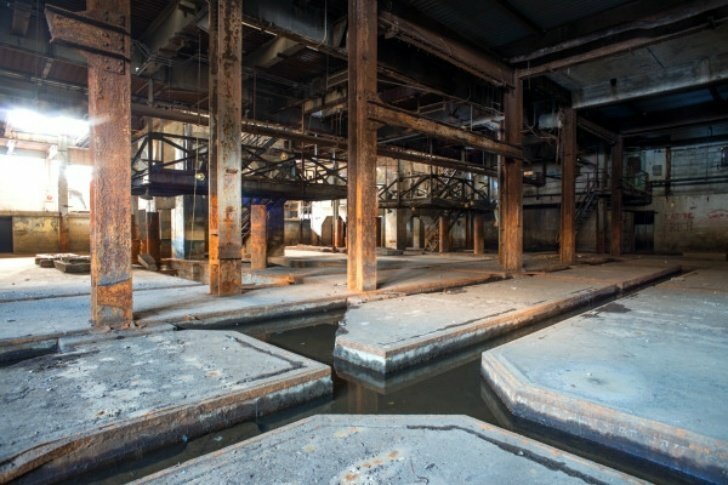 It was an old mill that functioned as a powerhouse, now there is just an abandoned place. 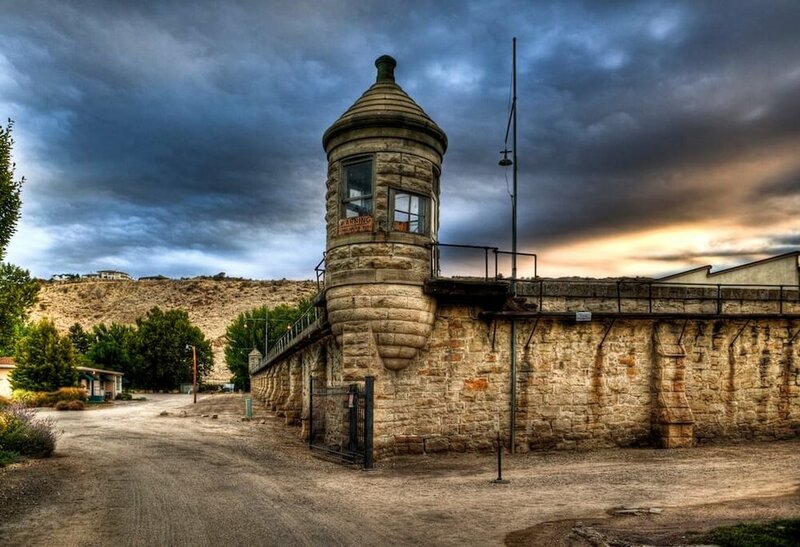 Located in Colorado, the place went out of use after 1917 and is now a national attraction. A real mansion now abandoned: it is really the creepy location ever. If you happen to be in Delaware and want to see it since 1990 this places has been left in ruins since the last heirs. It used to be the mansion of one important person in Georgia: Asa Griggs "Buddy" Candler, Jr, the second son of the Coca-Cola founder. Since 1922, besides being a mansion, was a health clinic for alcohol treatment. 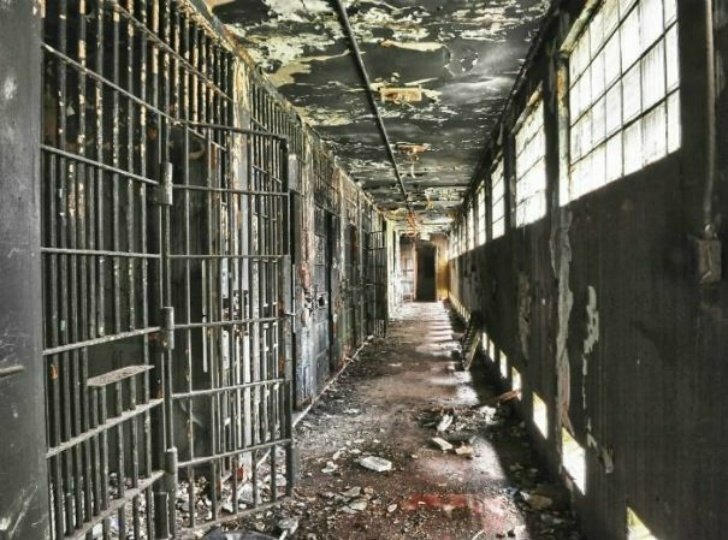 This was a functioning prison from 1872 to 1973 and abandoned ever since as you can see. It has now become a Museum and you can visit if you are in Idaho sometime. This place is special because it was the first commercial sugarcane plantation in Hawaii, and it worked very well until mid-1950. But now is just an abandoned place in the middle of the paradise. 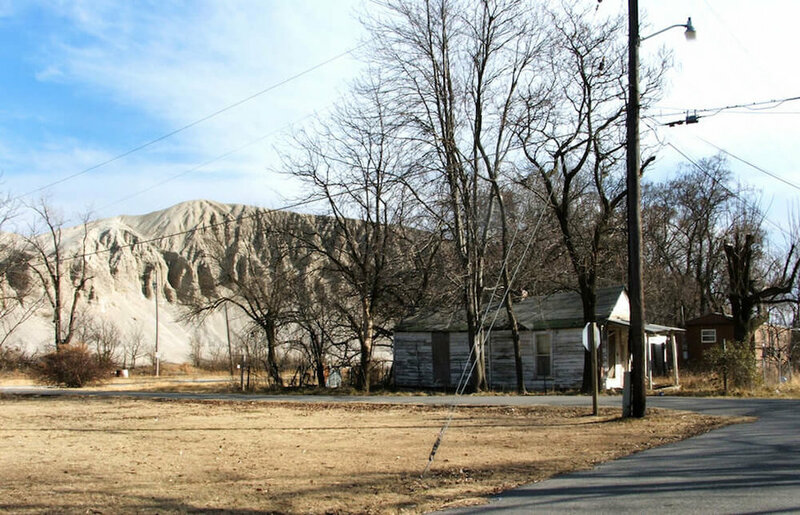 Between Ohio and Mississippi, in the state of Illinois, there is this ghost town called Cairo. Built in early 1800, and although some of the population remained (around 400 inhabitants), Downton Cairo is fully abandoned. 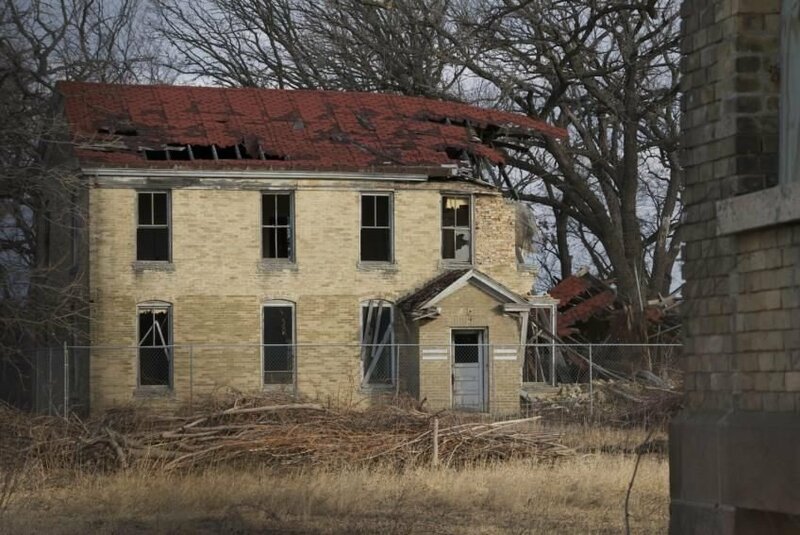 Another ghost town, this one located in Iowa. 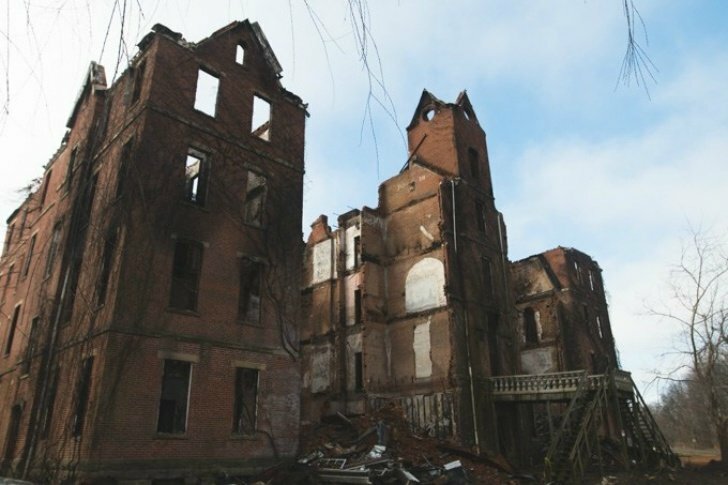 Born around 1835 and developed by the beginnings of the 1900s, the city started to decline and today there is just a ruin. You can still visit the mill and the cemetery that were left intact. 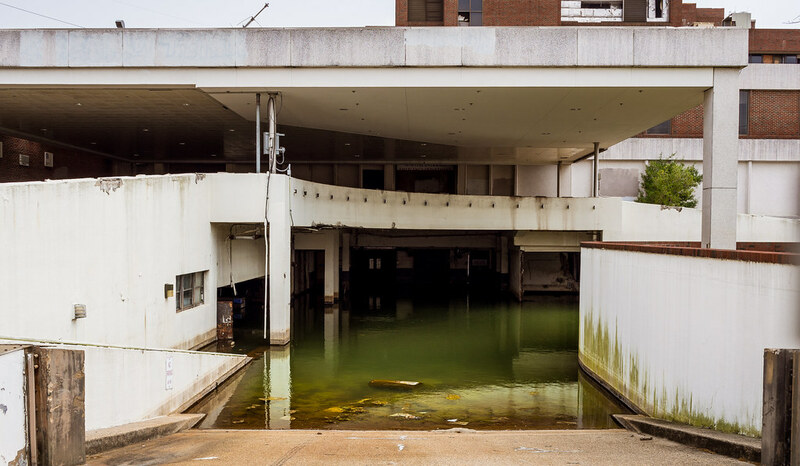 Located in New Orleans, Louisiana, this former medical center with 187 beds has been abandoned since 2005 after Hurricane Katrina when the place was a shelter for many families. 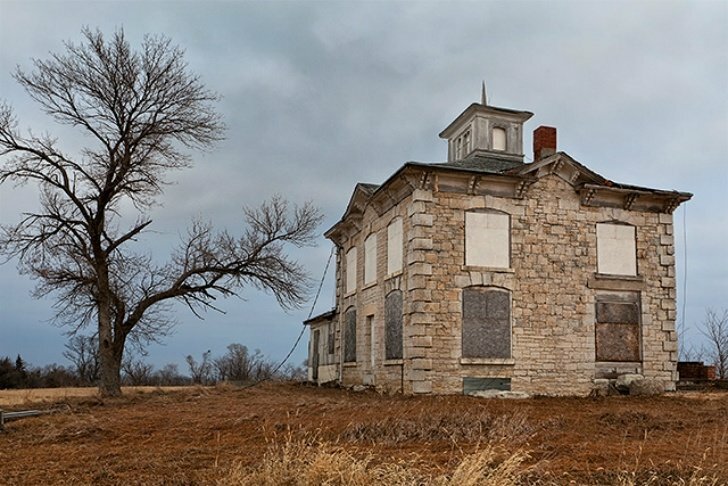 There is not much information online about the Lutheran Church and school in Kansas but pictures showing both buildings in a state of complete abandonment. Until 1953 there are records of the church in function, but now everything among this property is a mystery. As you can see, this church is not in use anymore. It was in service for only 50 briefly years and now the ruins remain. Closed since 1975, this was the largest Methodist Church in the Midwest, located in Indiana. 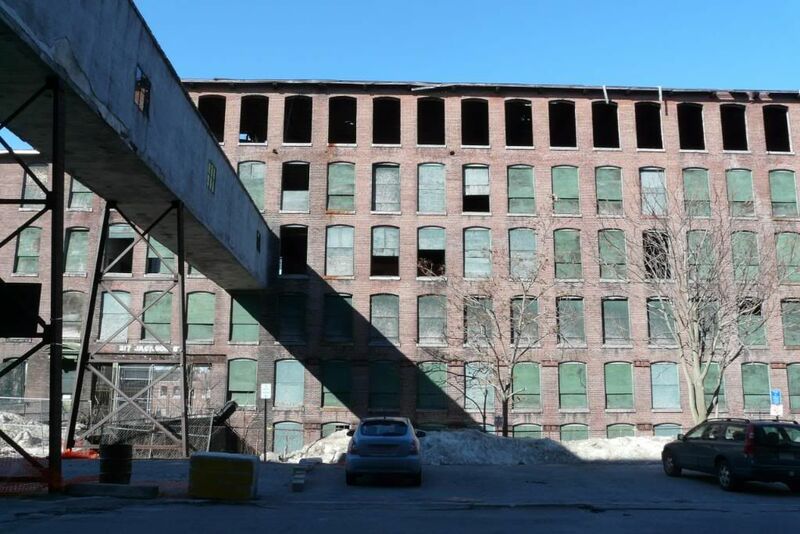 Located in Massachusetts, Lowell Mills was a textile town with more than 32 textile factories around 1840. 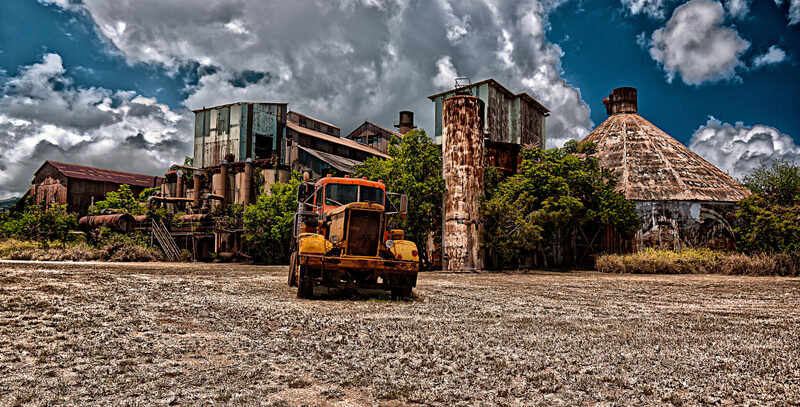 By the end of the century, the city loses the factories and most to of the population, leaving part as a ghost town. The island fo Perkins was abandoned in the 1940s, from that moment on, it has been the most spooky places from Maine. It is now a protected area but there is some bird observation from May to October. A chance to tour on this ghost island. 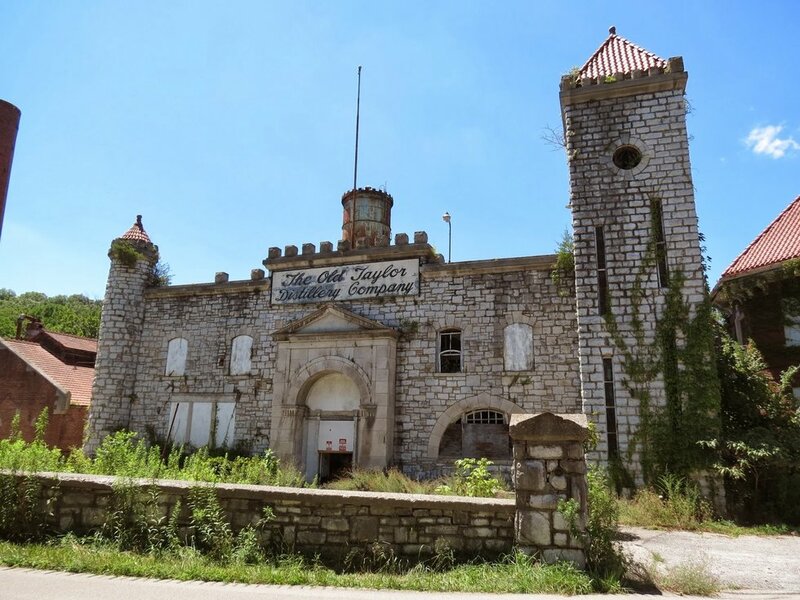 Kentucky has the best bourbon in the US, and the Old Taylor label was one the best in town until 1972 when the historical castle where the distillery was located was abandoned. Now it's an open place for tours. 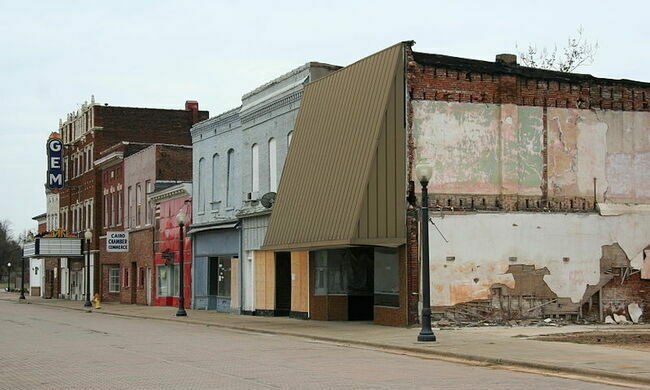 As you can see, this is no longer a normal city, and it's a ghost town even if a small population still lives there. The luck of this town changed along with the Mississippi River and never came back to be the same active city. This used to be Michigan's main Station until 1988. It was active since 1914 and as you can see now its one big ruin that was also the location of several movies. 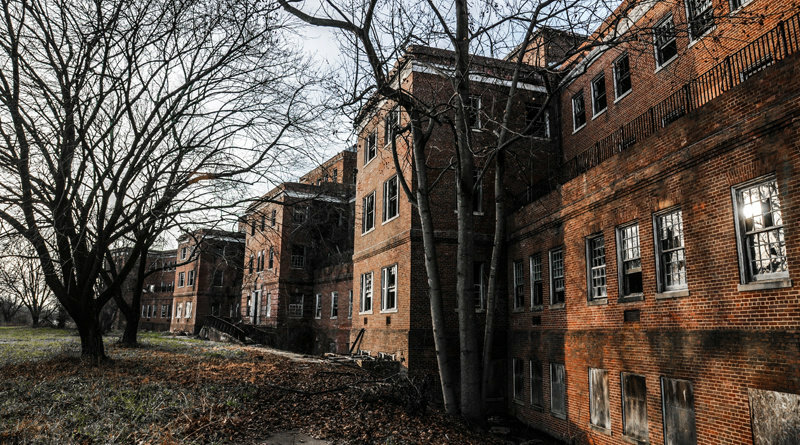 Perhaps one of the creepy abandoned places of all are the hospitals, and this Maryland hospital is no exception. 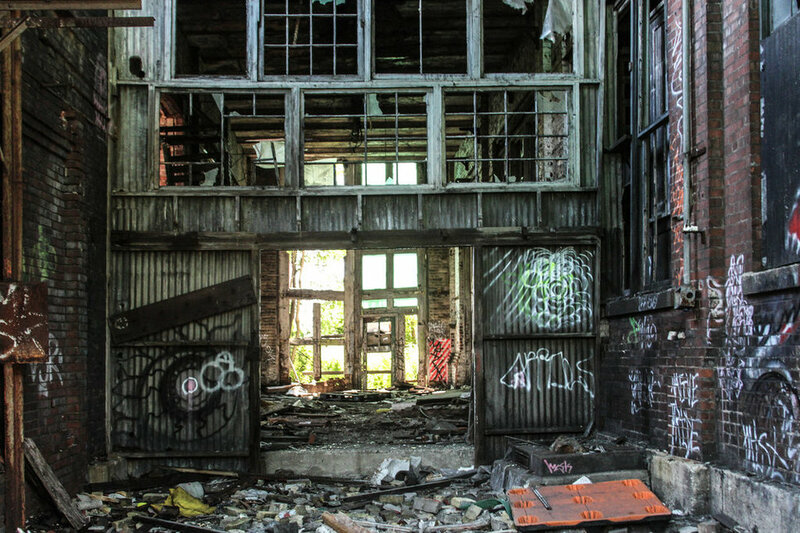 It was closed in 1981 for the contamination of asbestos and hasn't been reopened ever since. 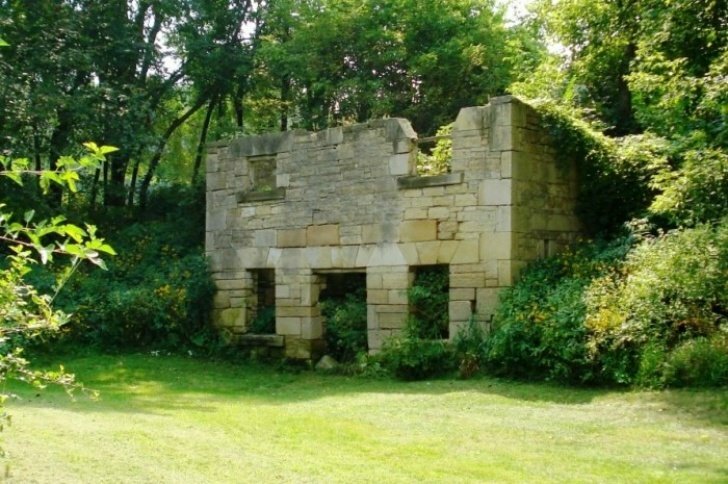 This castle was part of a recreation park in Missouri called Ha Ha Tonka State Park. It remains only the ruins of this place after many years. 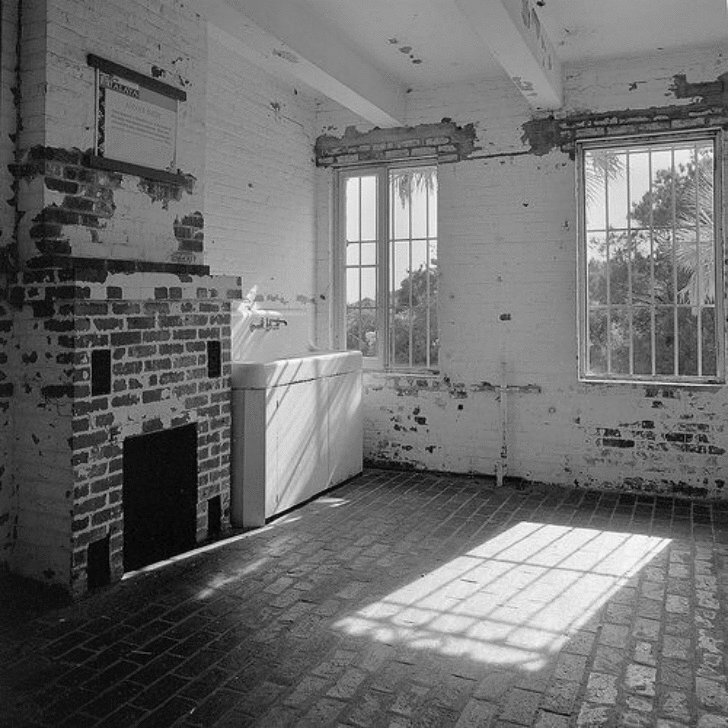 It was originally built as a residence and destroyed in a fire in 1942. This was a military fortification in Minnesota, until the mid-1950 and in 1994 there were some remains of the Minnesota Battalion. Since it's a very well-known historical place, there is plans for reconstruction by 2020, so be sure to visit the ruins before! 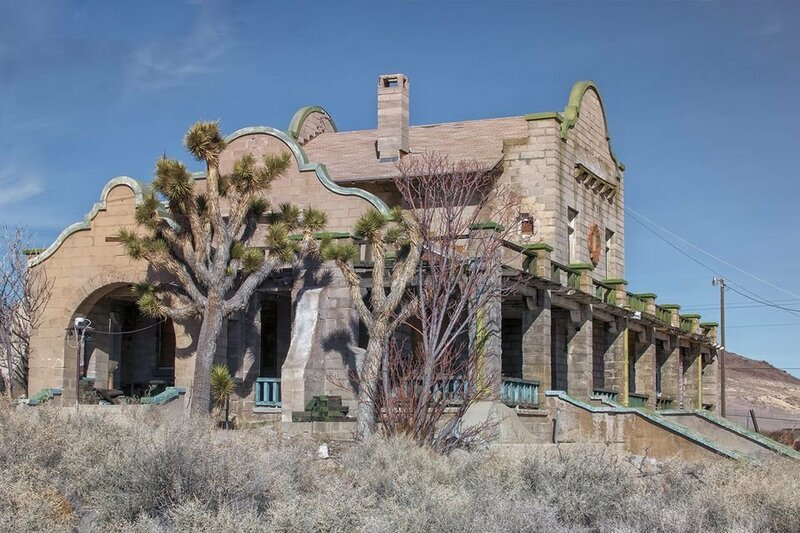 This Victorian mansion belonged to Israel Beetison and five more generations once and now is just a ghost house. 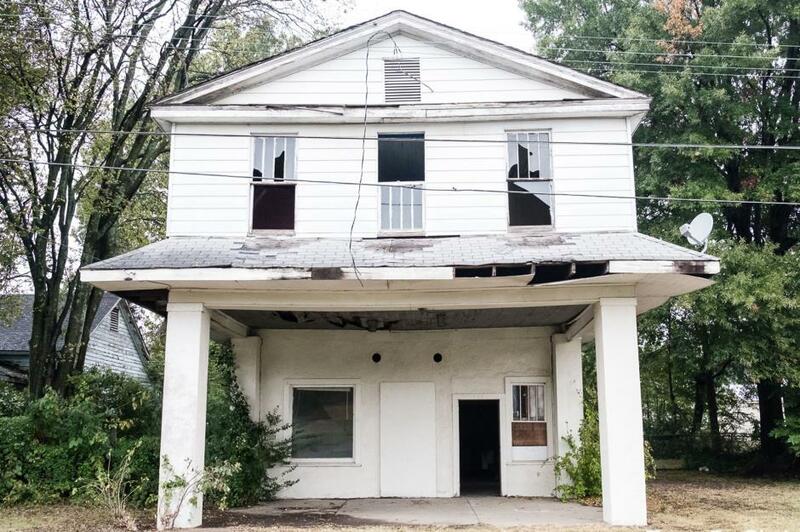 Located in Nebraska, this house has been landmark since 1977. Believe it or not, this was an entire castle once and now only this remains. 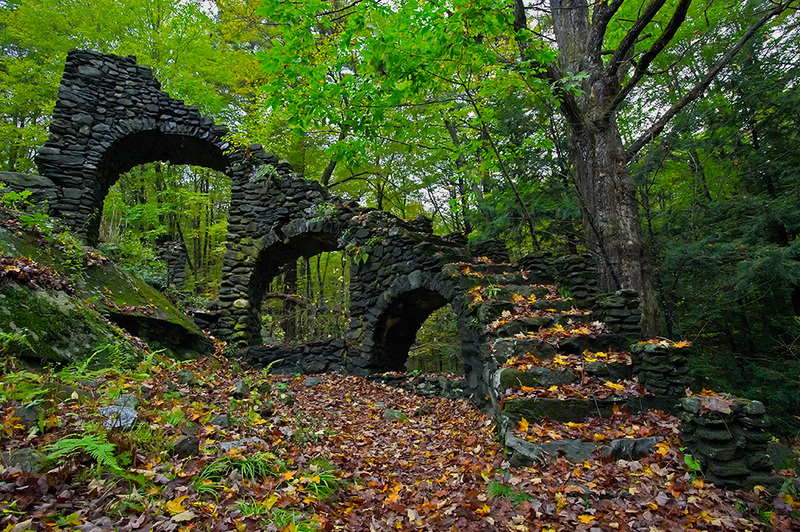 Madame Sherri's Castle is located in the middle of the forest in New Hampshire. Burned down in 1962, the castle is a popular spot now. 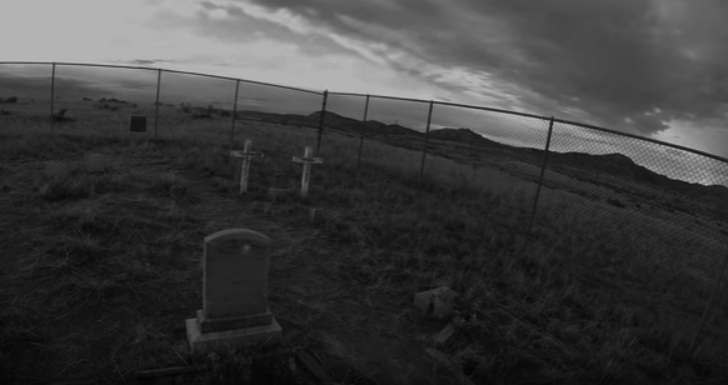 It is a city already defined as a ghost town in their records, and as we can see there is not much doubt about it. 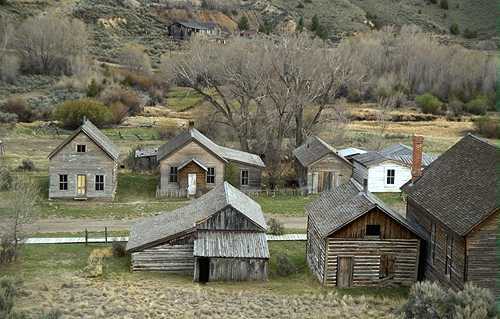 Bannack is located in Montana and became a National Landmark in 1961. This city went down with the economical crisis of the 1907 and the last inhabitant died in 1924. Ever since it has been a movie location and tourism ghost town. 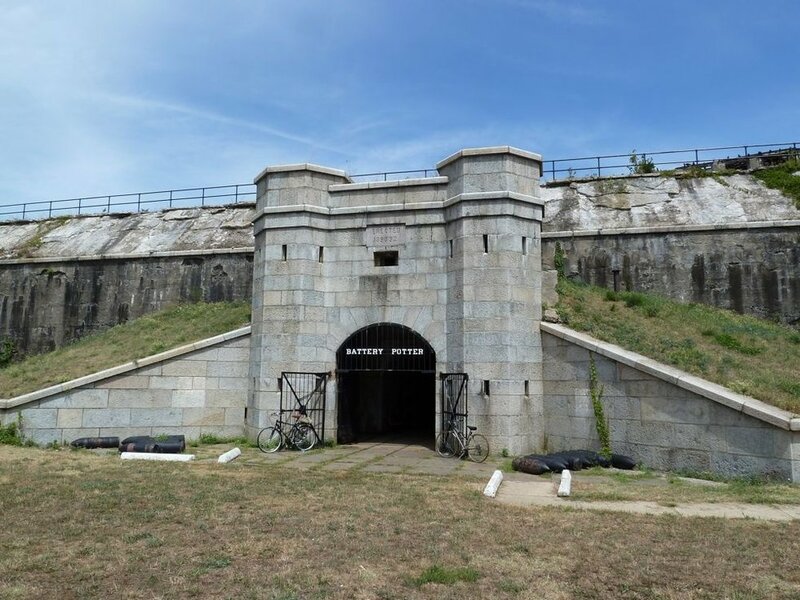 Located in New Jersey, this fort belonged to the US Army and served since the World War I until it was decommissioned in 1974. The lighthouse in there is one of the oldest in the country. 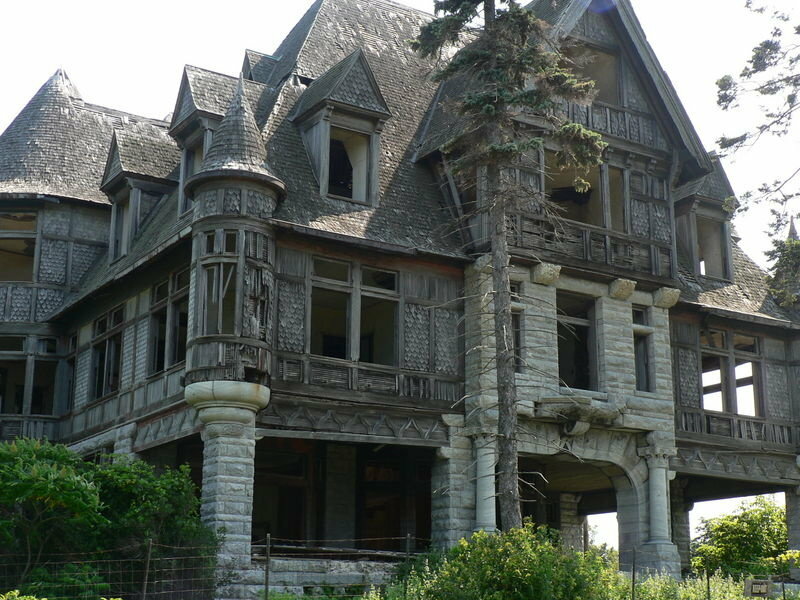 This is not your regular mansion at the New York State, this was clearly abandoned before 1900 since Wyckoff died a day after moving into the mansion in 1895. So, haunted and spooky here. So you must know this New Mexico place in case you are planning your next vacations where. It was a mining town but the post office stop working in 1965, not much was there at that time. 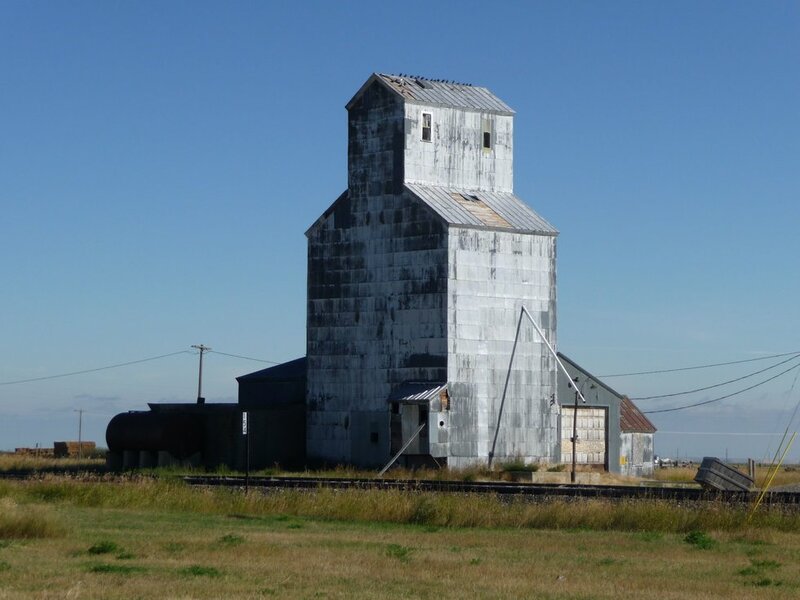 This mayor structure abandoned is located n North Dakota and used to be an important grain elevator from the Mondry Grain Company. Is now a place for many tourism with interest in the photography of ruins. 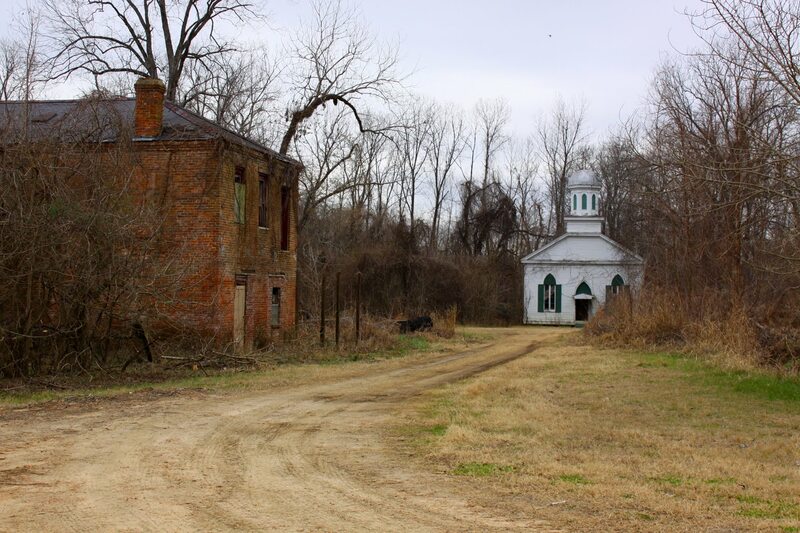 This one of the most recent ghost towns on the list: after a tornado in 2004, the residents vote to dissolve the School district and in 2013 the municipality was closed and the last resident died in 2015. This poorhouse was located in Ohio, at the Knox County. It was in. Function until 1988, but as a poorhouse only until 1953 due to plagues that made it close. Later it would be a Bible college and now a spooky house. 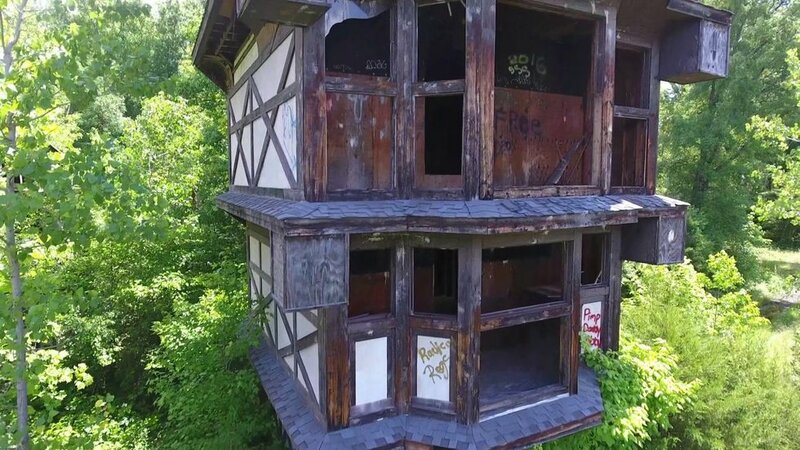 This abandoned castle is located in North Carolina. The shocking thing about this place is that it was built in 2005 and abandoned in 2008, it was definitely a record time. This is the case of an ambition structure that ended up in the wrong way: bankruptcy. The owner was played guilty of very felonies and in 1998 the construction stopped and now there is only a big skeleton. 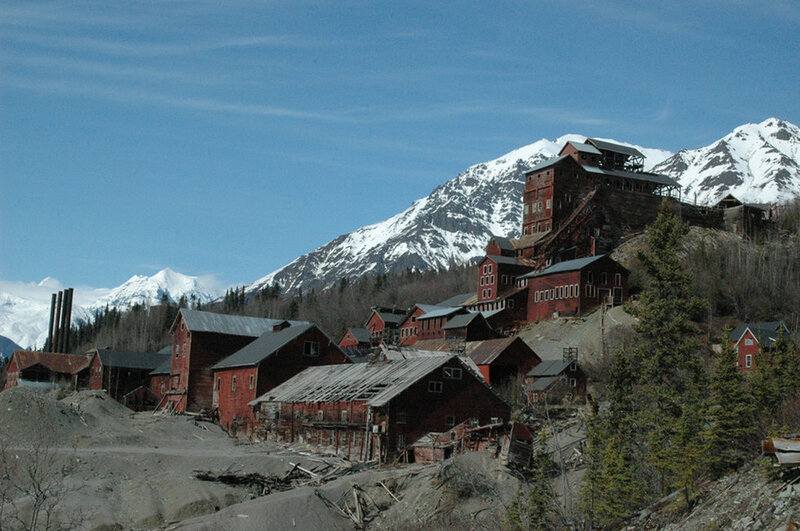 Another abandoned mining town from the 1800s and now a ghost town. Golden is located in Oregon and in 2011 it became Historical Place. You should definitely avoid this location for the holidays. 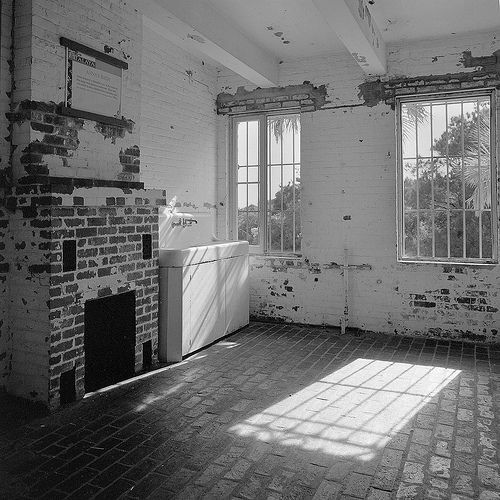 Atalaya Castle is located in South Carolina and as you can see, fully abandoned. Built-in 1931 as a winter residency it has been abandoned since 1973 when the owner died. The castle is a public park now. 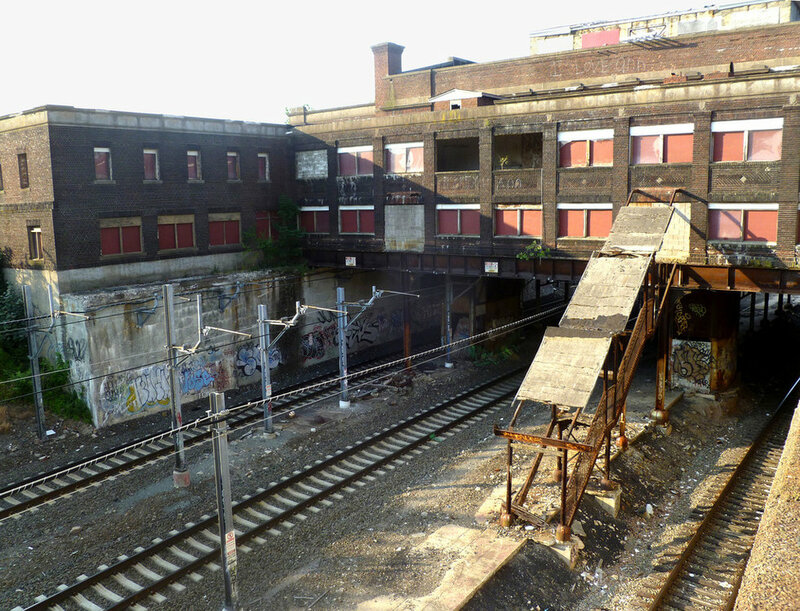 Pawtucket Central Falls Station was built in 1916, located in the State of Rhode Island the city plans to reopen it around 2020, so if you want to visit the ruins you must go soon! Well, I guess you may already sense this place is really spooky. 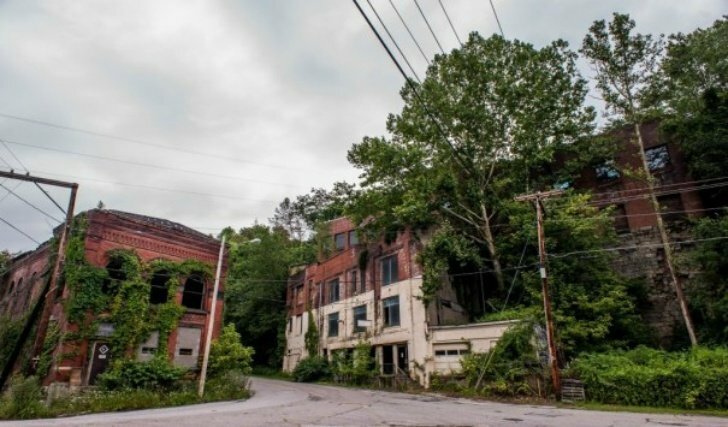 It was closed down in 1992 and has served as a location for the movie Green Mile and some concerts. 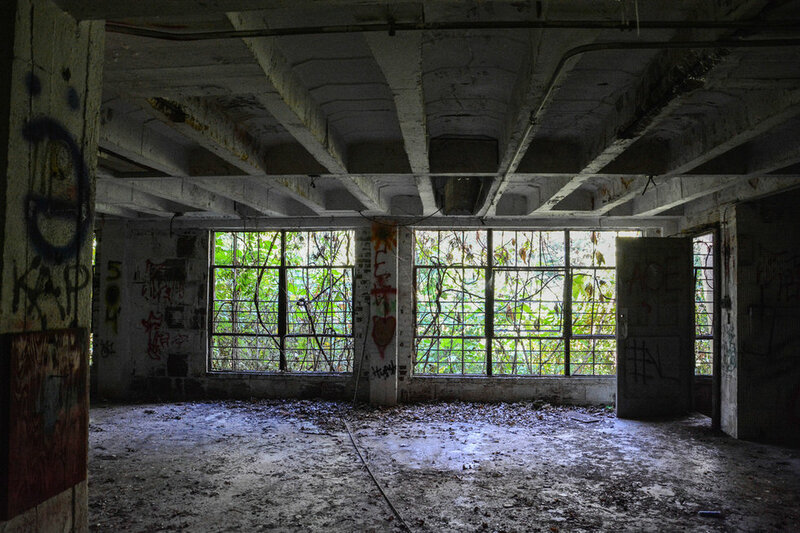 Really awesome abandoned place! 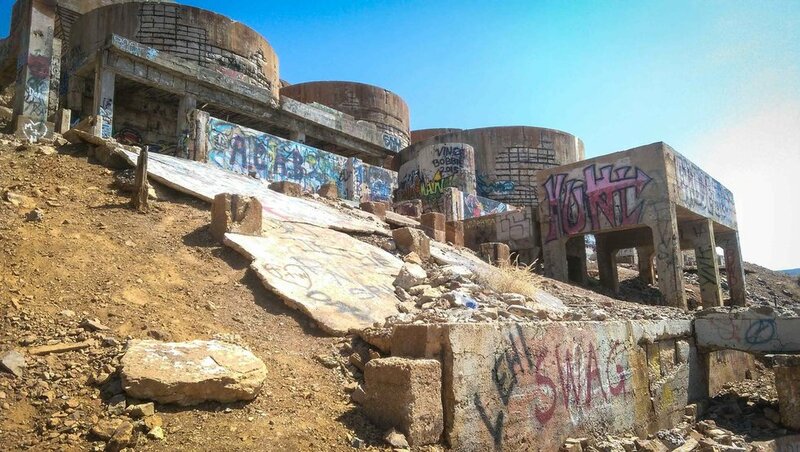 This is an abandoned refinery from Utah and it has been like this since 1925. It is listed a National Historical Places since 1978 and you can tour around if you're in town. Well, the entrance board says everything. 1880 Town is in South Dakota, a state with many abandoned places, but the difference is that this one has been arranged for tourist purposes. 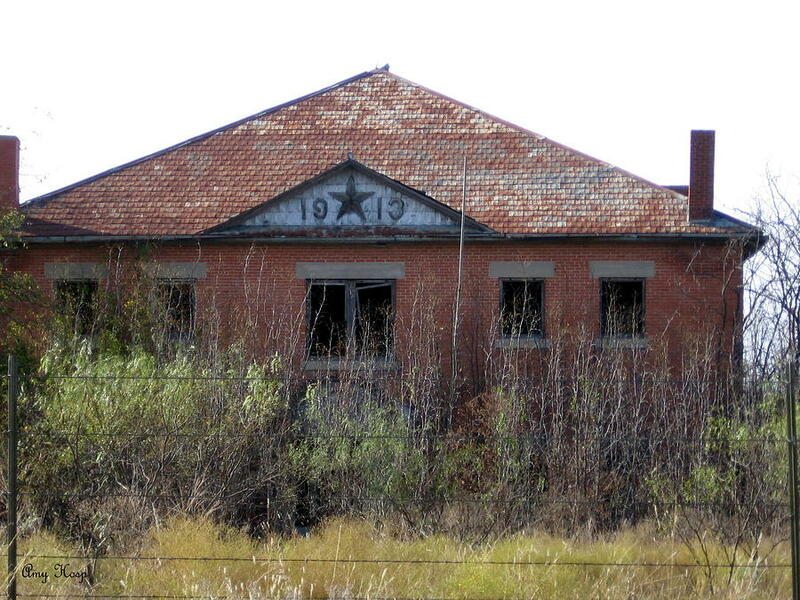 This used to be a school until 1959 and from then the whole city is a ghost town. Located in Texas and named after a Comanche Indians, this is for sure a creepy abandoned place. This power station in Vermont was in function from 1952. The plant was decommissioned in 1986 and since 2008 there have been rumors of a renovation plan. The Moran Plant was an important backup of the blackout of the Northeast in 1965. 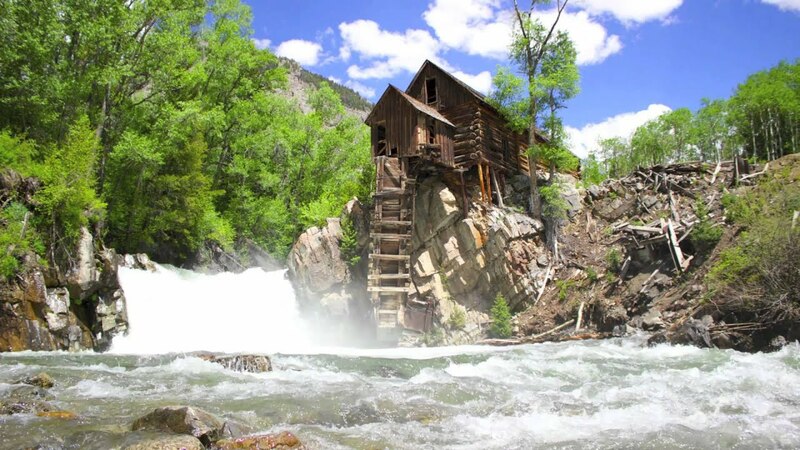 Located in Washington, this ghost town was a mining city until around 1934 when the city was relocated. You can still visit the houses and buildings since it was left intact. This plant from Milwaukee closed around 1983 and has been abandoned ever since. 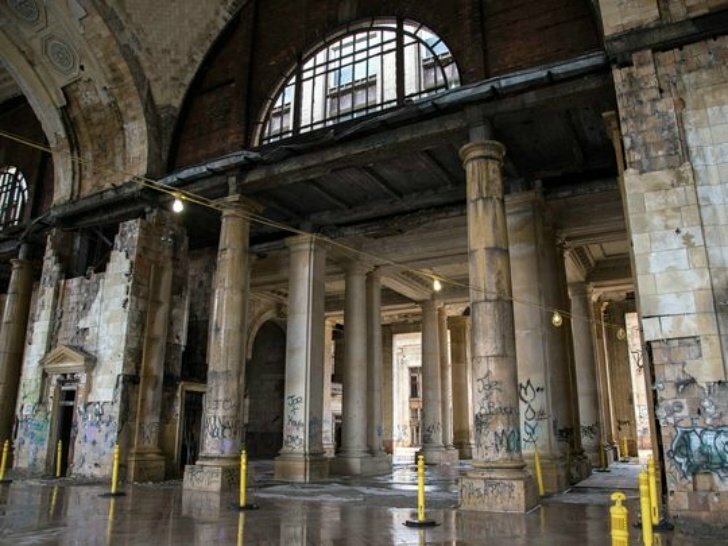 The place is really impressive and although there are plans to renovated the high concentrations of arsenic and asbestos made it almost impossible. 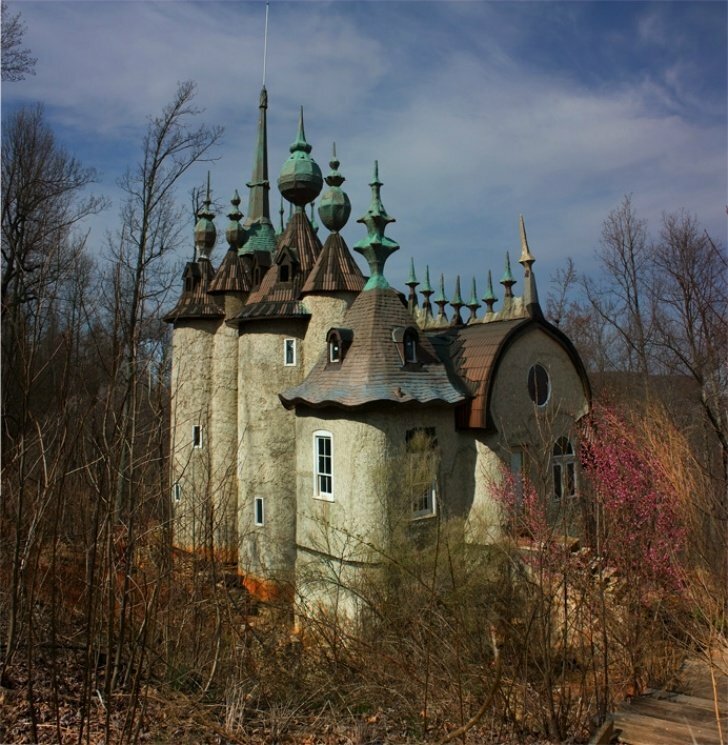 In the woods of Virginia, a Renaissance Faire was built in 1996 and was in function until 1999. Now there is only an old and abandoned replica of the Medieval era. Before the prohibition, The Reymann Brew Company was the most famous in West Virginia. 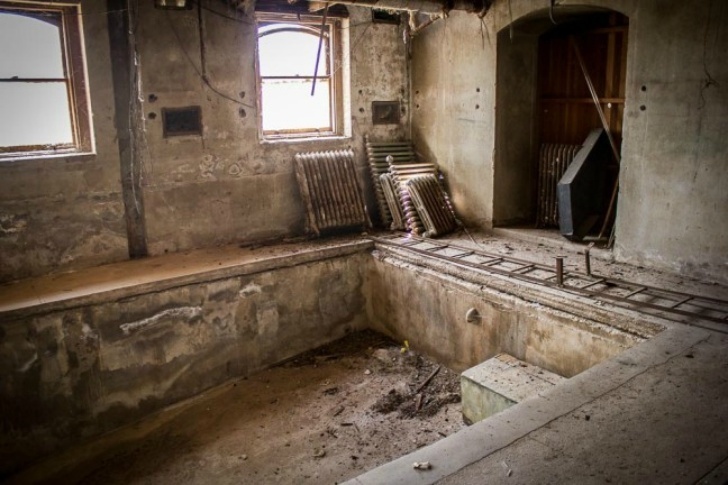 It is one of the oldest breweries from the state and has been abandoned since 1914. Gebo was a city from Wyoming that was abandoned. 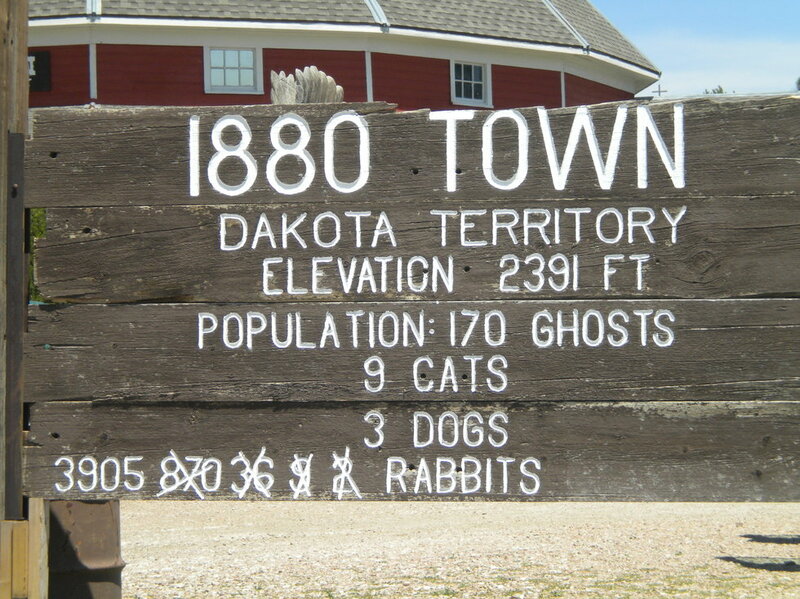 It is indeed another ghost town and full of ghost stories as well. Since 1971 the place has been empty but the graveyards remain. Be Awesome and don't Abandon Us! Share this article with your family, friends, and fans!